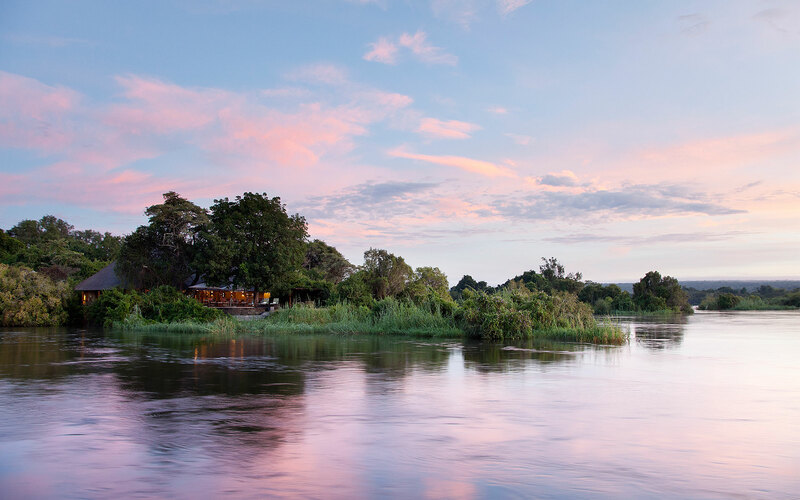 From waterways to unbroken grasslands, Jao Camp is located perfectly on a remote island in one of the most picturesque concessions in the Delta that provides guests with both land and aquatic experiences. 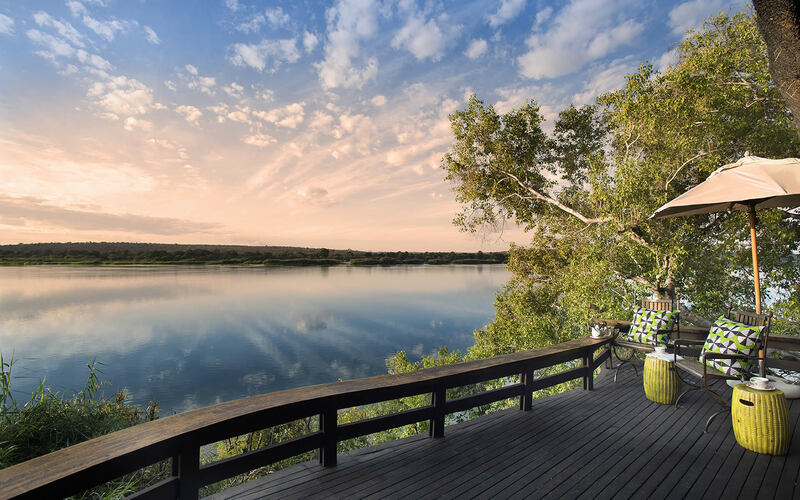 Here, all your dreams become possible at this luxurious property intelligently designed to showcase Botswana’s exquisite beauty and show off the surrounding channels of incredible water, landscape and wildlife. 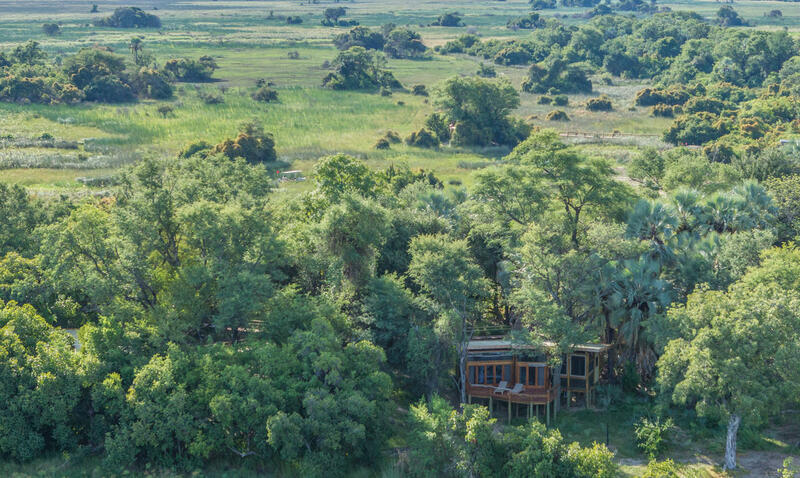 And because this property is so special to us, we are delighted to announce that the rebuild and complete transformation of this gem set in the heart of the Okavango will be completed later this year and due to open 1 June 2019. The new Jao Camp will remain raised on the existing wooden decking built into the tree canopy. 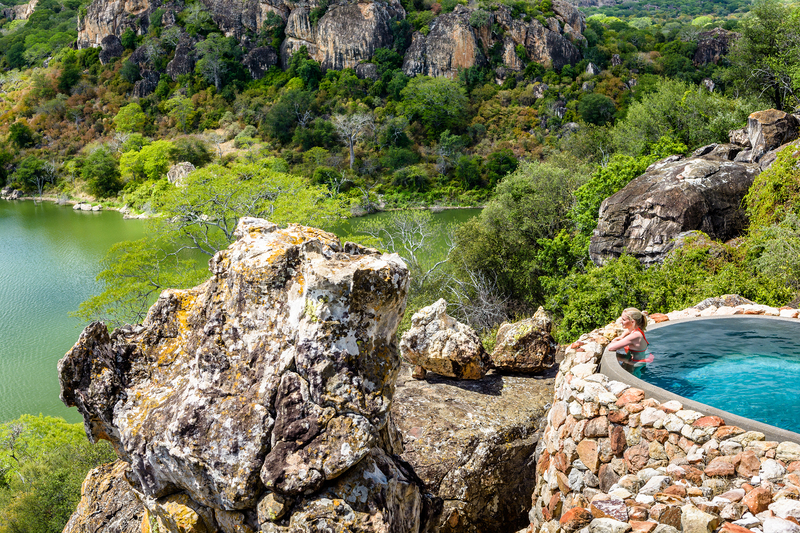 Guests can still completely disconnect from the world below and immerse in this magical wildernesswith more private areas created in amongst the trees. 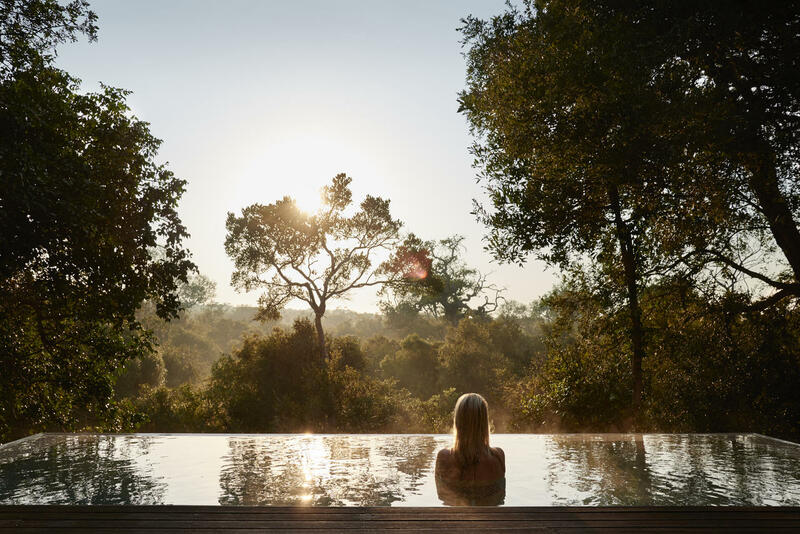 The spa at Jao will be tucked in amongst the balmy leaves for privacy, and is surrounded by water to provide a calming and tranquil atmosphere. 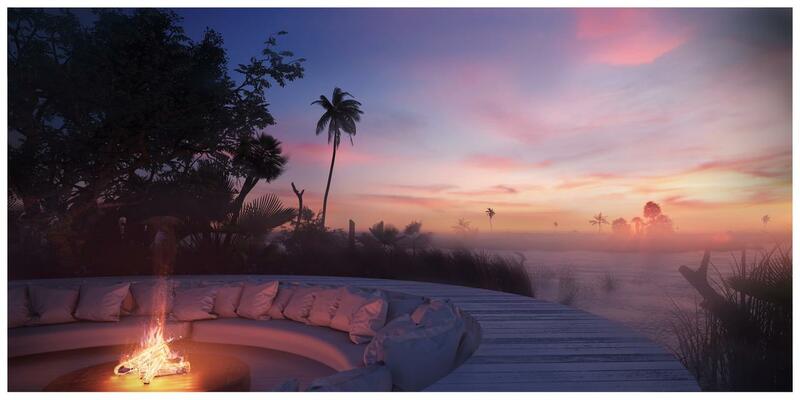 The gym will be thoughtfully placed on the edge of the island, offering breath-taking views over the lush water, while the main pool shaded by a canopy will project out into the floodplain with 270-degree views of the Delta. 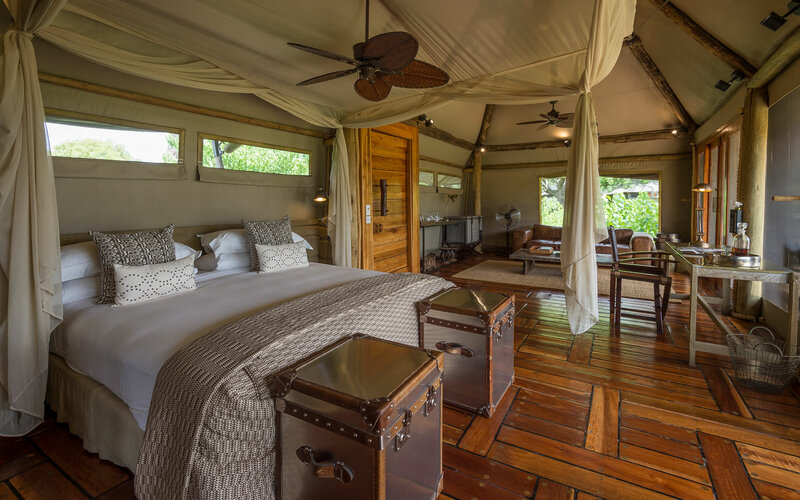 Jao camp will introduce two new villas, each accommodating up to four people, and will feature a private vehicle, guide, chef and butler. 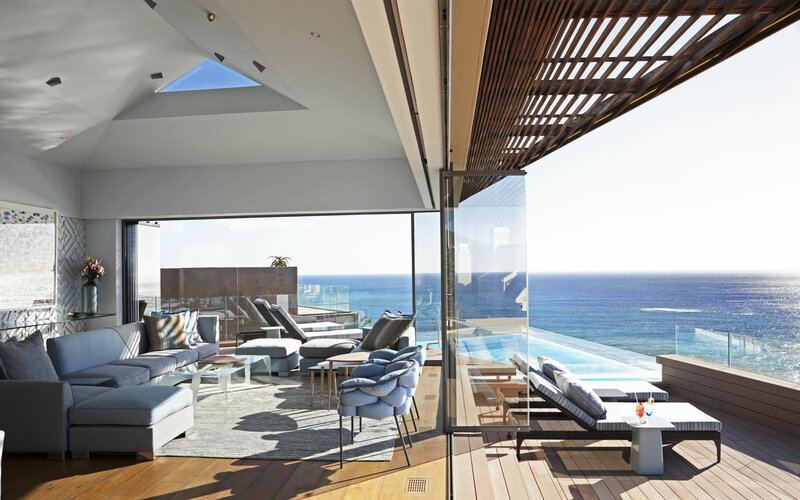 The other five twin accommodations will boast private plunge pools, lounge and dining areas, kitchen facilities, and exquisite indoor and outdoor showers. 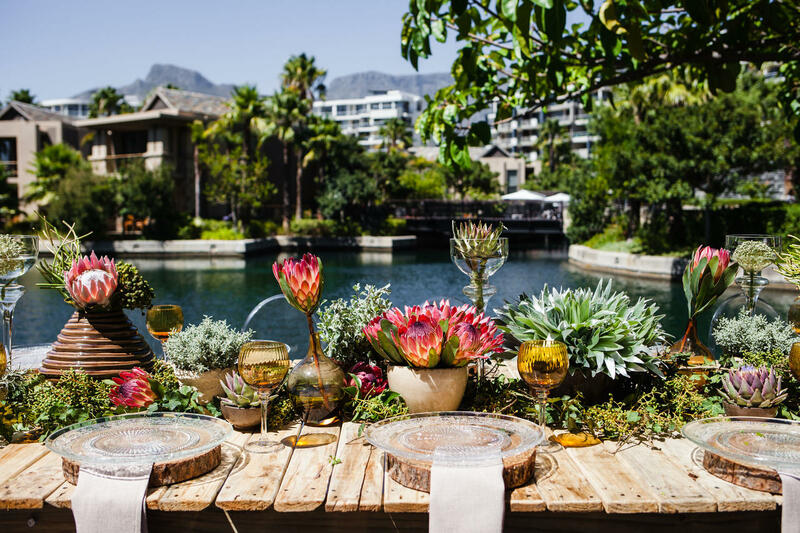 A colour palette will reflect and incorporate a unique botanical theme throughout with special emphasis placed on the water lily. 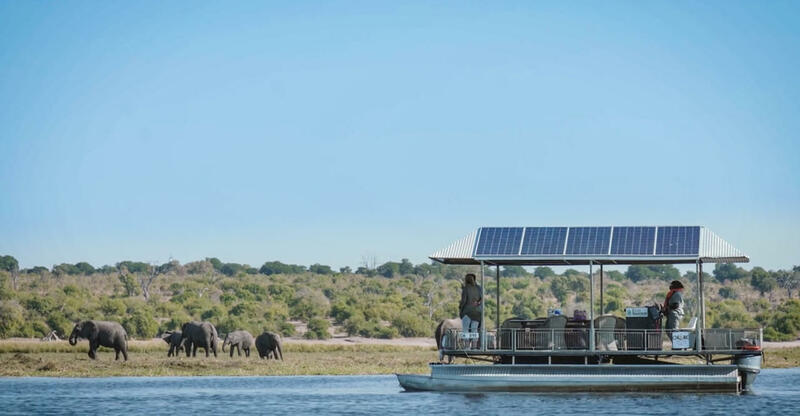 Cathy Kays, co-owner of the Jao Reserve shows the camps commitment to be as eco-sensitive as possible with the introduction of Climate Wizard, self-igniting Calore stoves and great use of natural lighting. 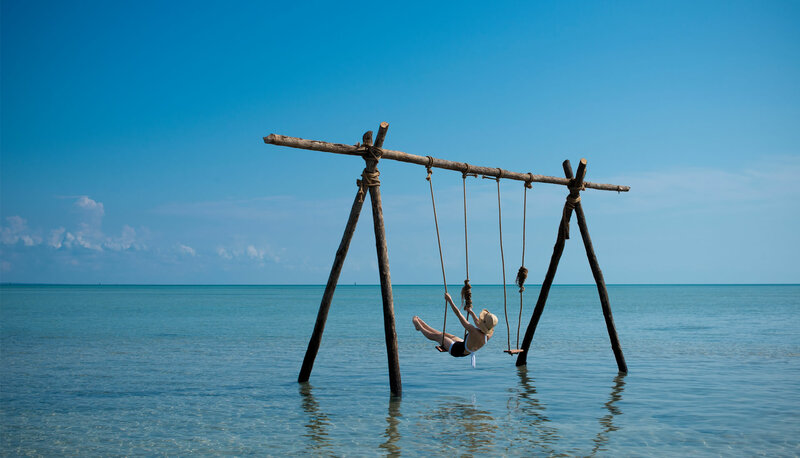 The lead architects Lead architects, Silvio Rech and Lesley Carstens, who designed the original Jao in 1999 have approached the rebuild 18 years later with an approach to keep Jao Camp’s sense of adventure, element of surprise and delight. Until June 2019 – watch this space! 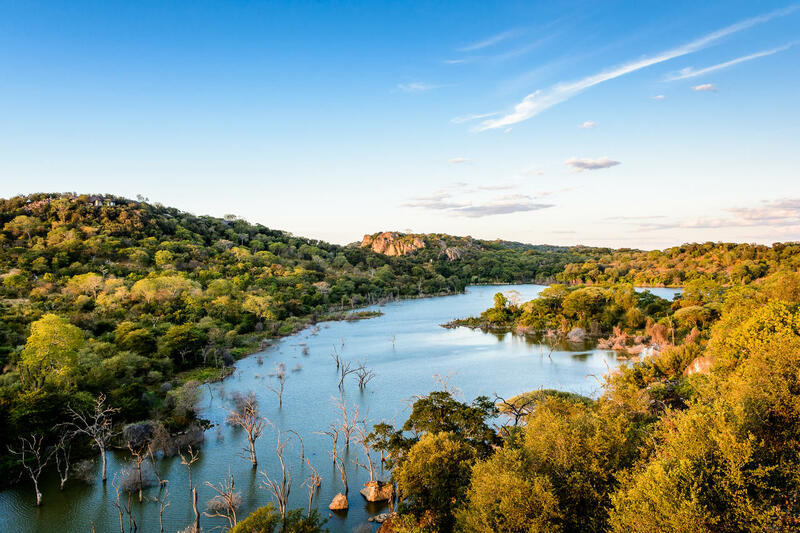 Perched along the famous Selinda Spillway, this month’s property of the month offers an authentic classical safari that will have you feeling like a true explorer from a bygone time. 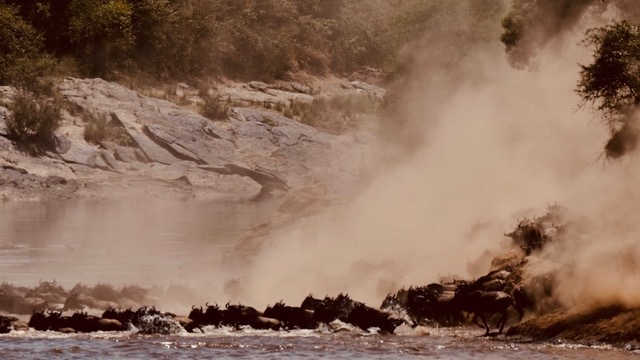 Selinda Explorers Camp combines a modern twist to the essence of pioneering, creating this luxury under canvas that’s set in the shade of the riverine forest. 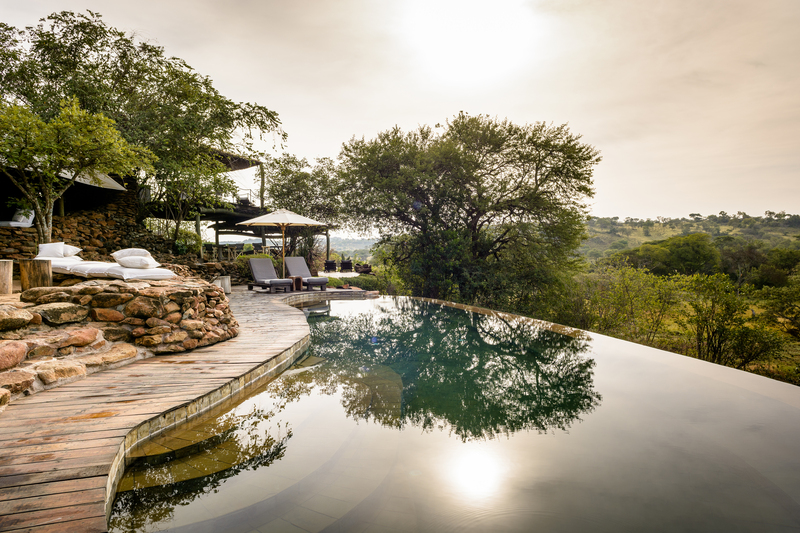 Grabbing our attention for this month’s property of the month is the distinct comforts that define luxury safari and authentic experiences immersed in wilderness, disconnected from the rest of the world and completely comfortable the way the first explorers did it. 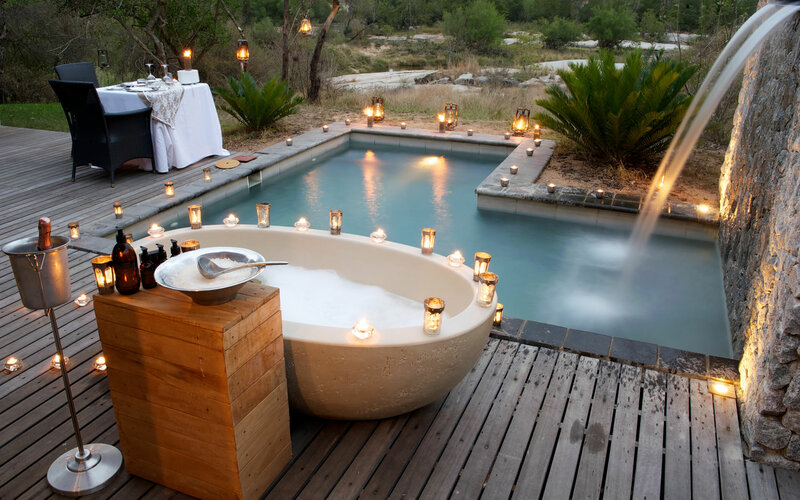 When you’re in the bush and want authenticity and luxury to coincide, you head Selinda Explorers Camp and ask for a brass hip bath to be set up for you in a quiet spot on the sandy banks of the Selinda Spillway. 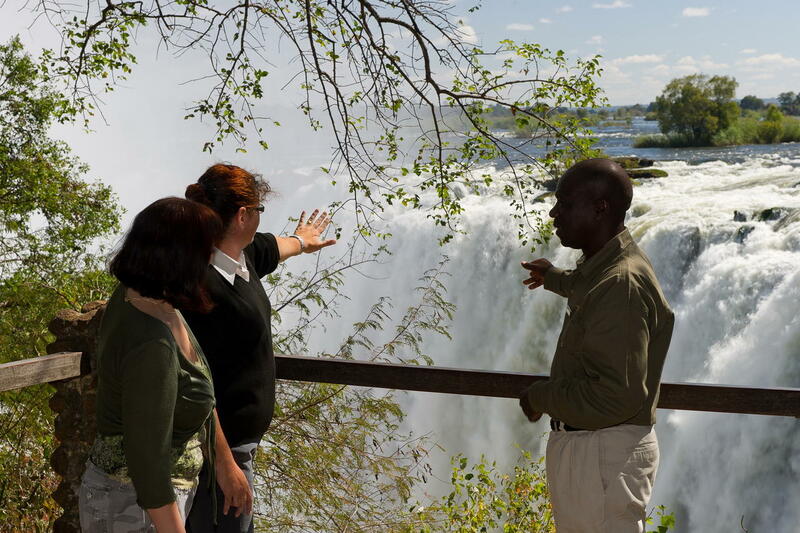 Or perhaps cool down in the clear waters of the spillway and ask your guide to keep watch while you enjoy a refreshing swim. 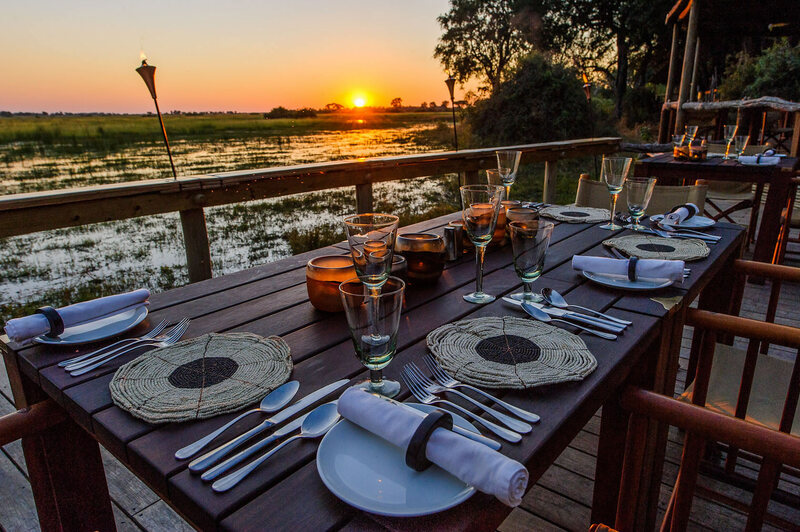 Where else in Africa will you enjoy sundowners after exhilarating game drives, guided walks and wildlife canoeing other than at one of Botswana’s secret hideaways. 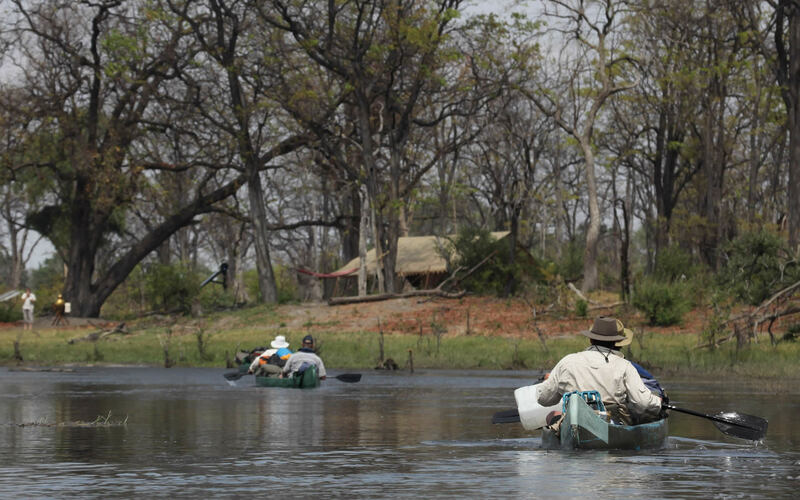 There is no better way to experience the unsullied waters of the Selinda Spillway than from the silence of a canoe drifting with the current. Once again, accompanied by a highly-experienced guide, an evening paddle might afford you views of buffalo, roan or sable drinking at the water’s edge. 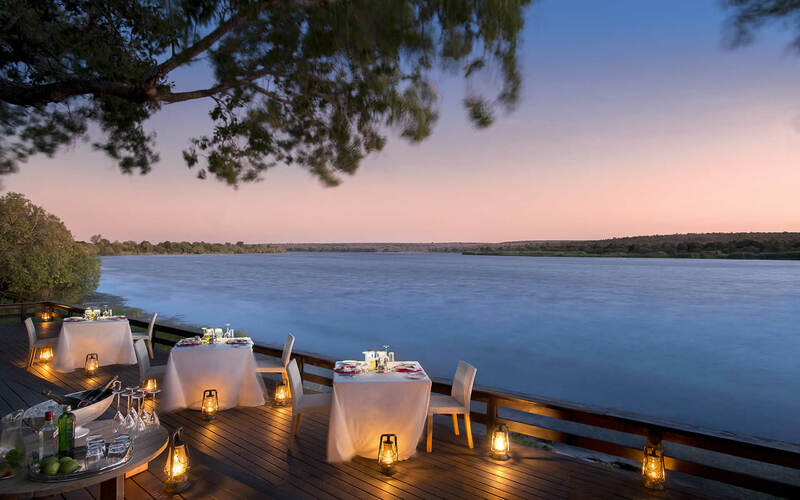 You will be enthralled by the egrets, kingfishers, herons and jacanas hunting from reed perches, hopping across the lilies and waiting patiently in the shallows as the African sun disappears in a blaze of crimson. 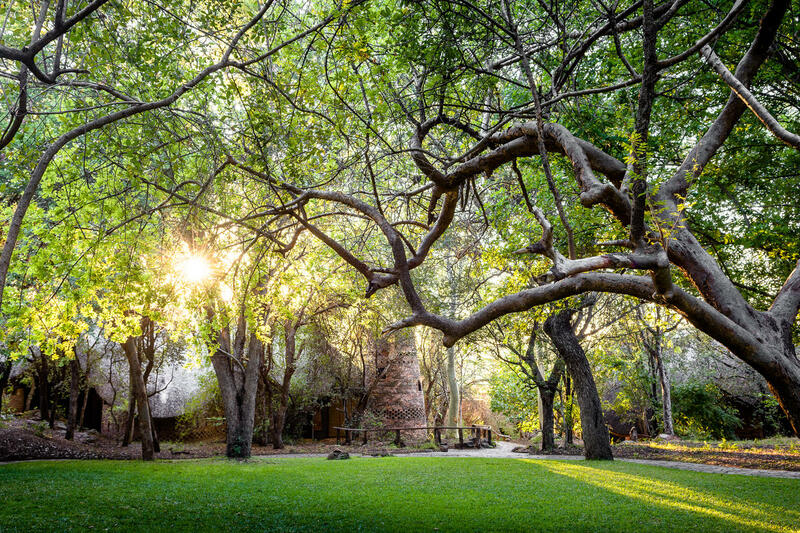 The Selinda Explorers Camp is chic, basic and beautiful. 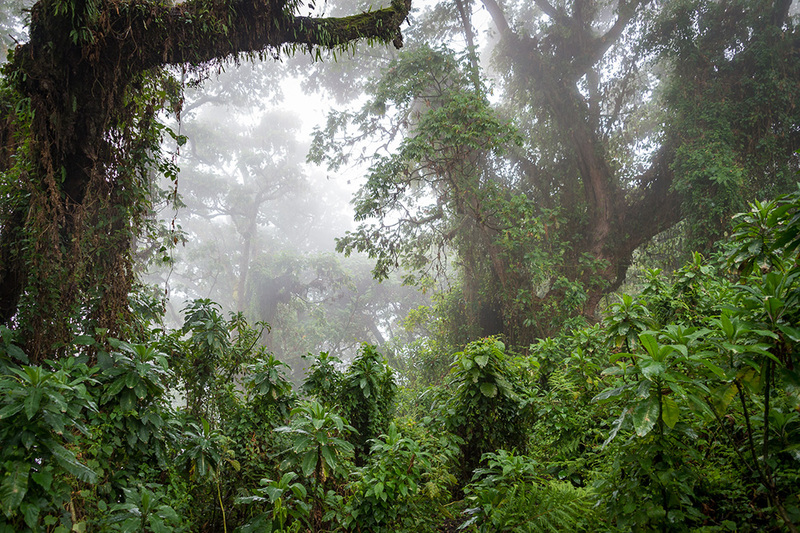 The four private tents are settled in the deep shade of giant Mangosteen and Jackalberry trees. 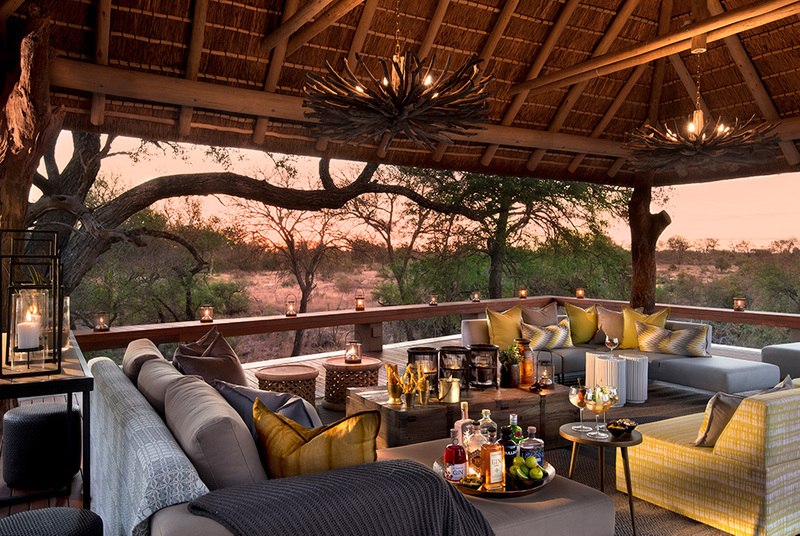 The camp rests on the ancient Kalahari sands allowing you to feel the throb of wild Africa while the décor and appointments conjure an era of opulent exploration. 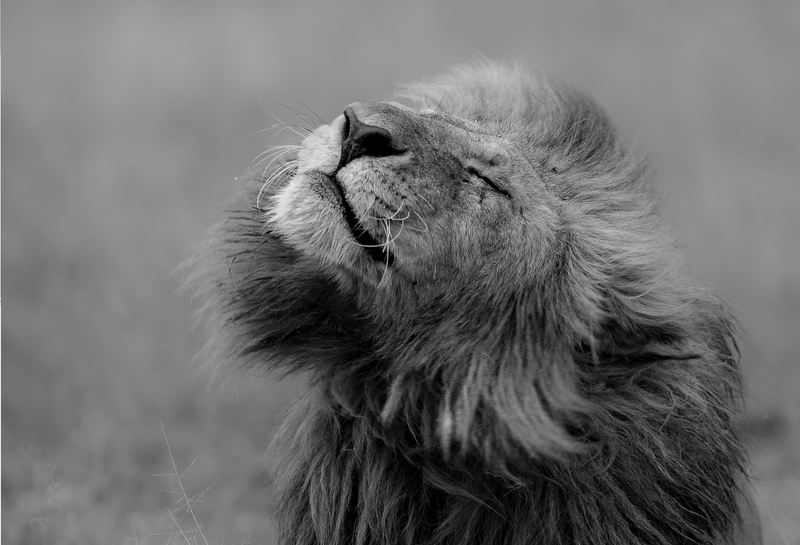 You will recline on campaign furniture and inhale the glorious, herb-scented Selinda air. Your personal effects will live in vintage trunks and your hot water will arrive in copper kettles. 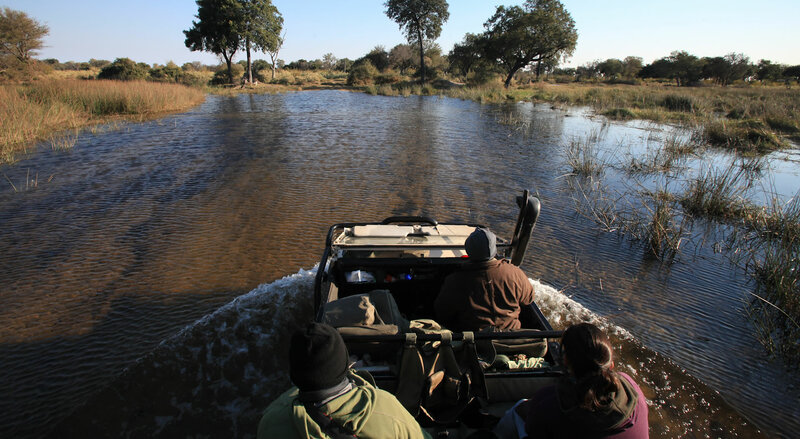 The bathrooms are completed with flush loos and open-air showers with plenty of hot and cold water. 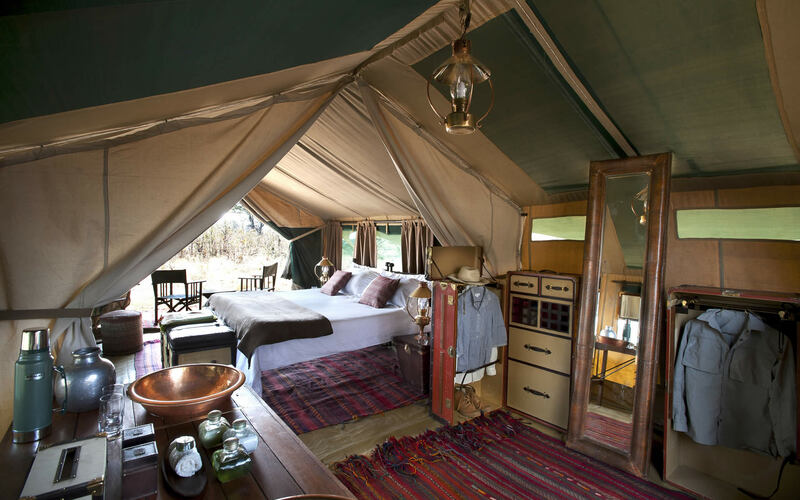 When you are not in your tent, you might be indulging in a gin and tonic from the comfort of a huge cushion, set on the Arabian rugs of the main tent. 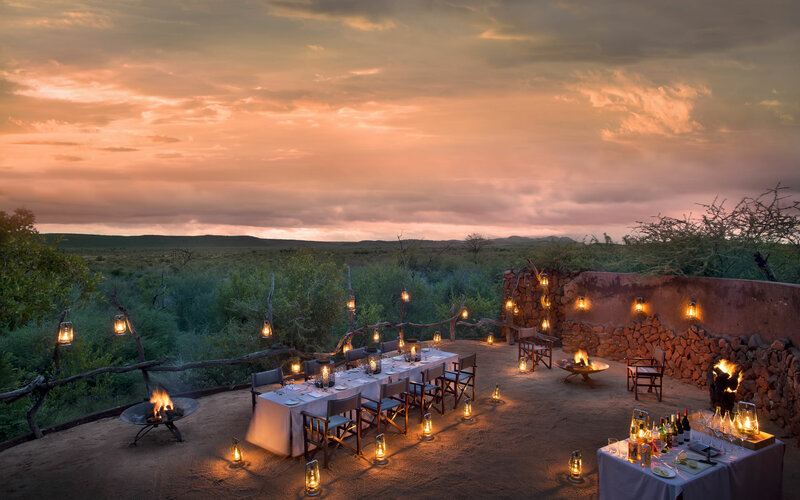 As the African night builds you could be dining on simple yet stunning cuisine by the light of a brass lantern or relaxing around the fire, contemplating the day’s adventures with a single malt, dancing gold in the firelight through a crystal tumbler. 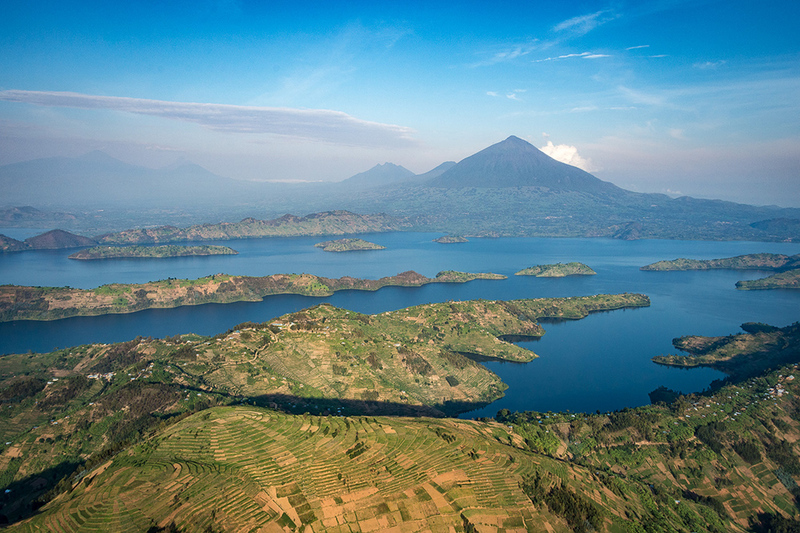 Why wait to experience such splendid adventure in the finest comforts, find out more now! 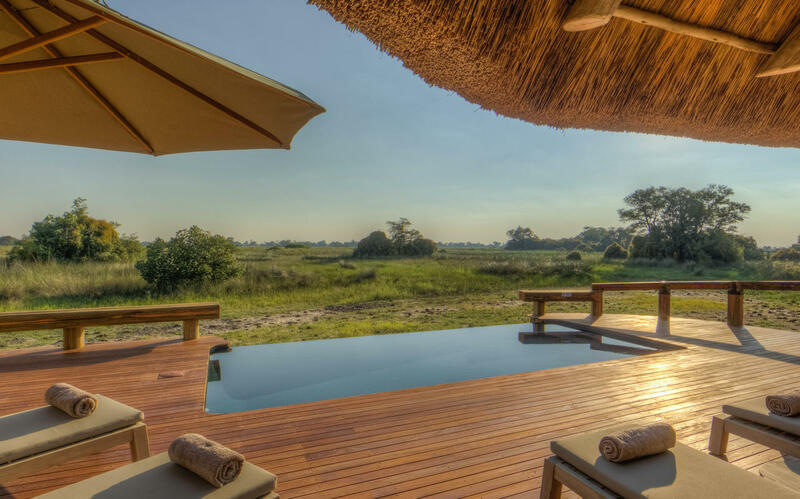 Grab a window seat and fasten your seatbelt as we transport you to this month’s property of the month – Duba Plains. 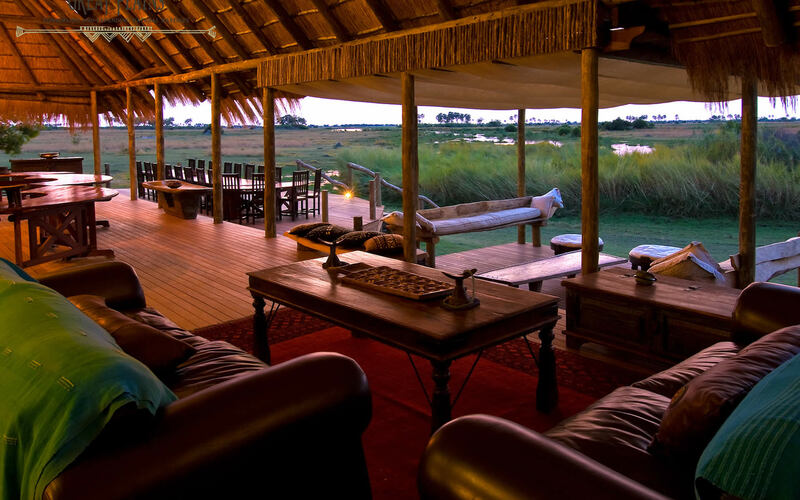 Nestled on an island in the far northern stretch of the Okavango Delta in Botswana, this tasteful and luxurious camp is surrounded by clear channels, filtered pure by the Kalahari sands, and can only be reached by light aircraft. 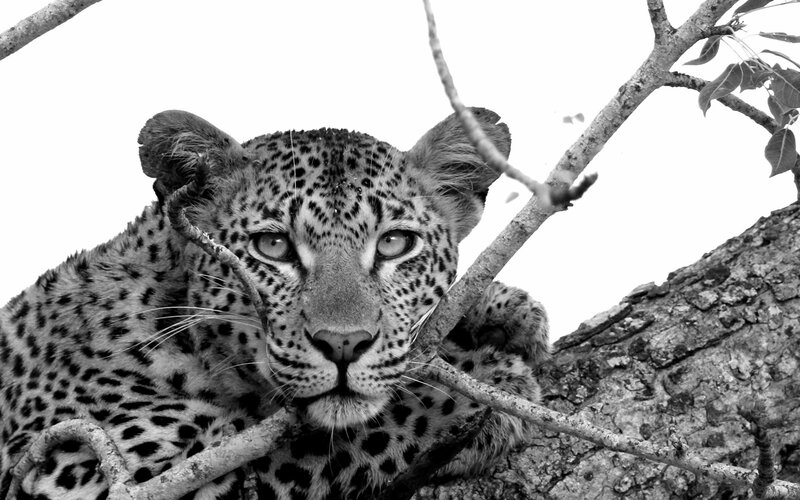 The legendary Duba Plains is celebrated for its remote location and exclusive wildlife encounters. 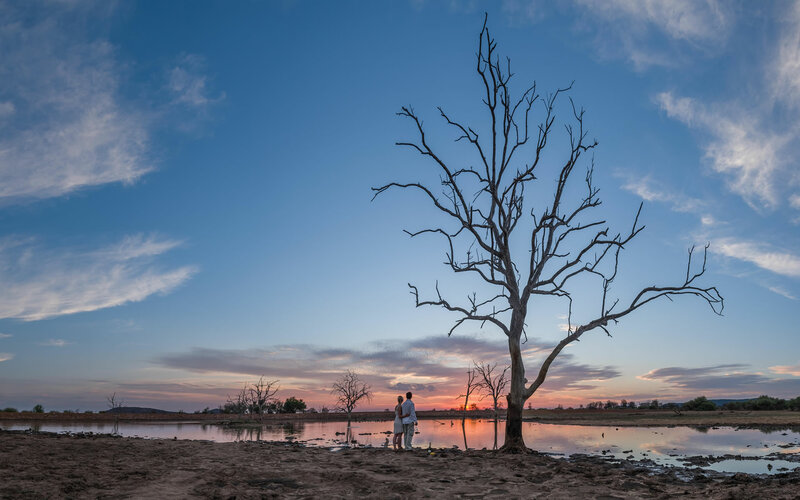 Founders and pioneering filmmakers Dereck and Beverly speak of Duba Plains as home – the very essence of wild, untrammelled Africa at its most exciting. 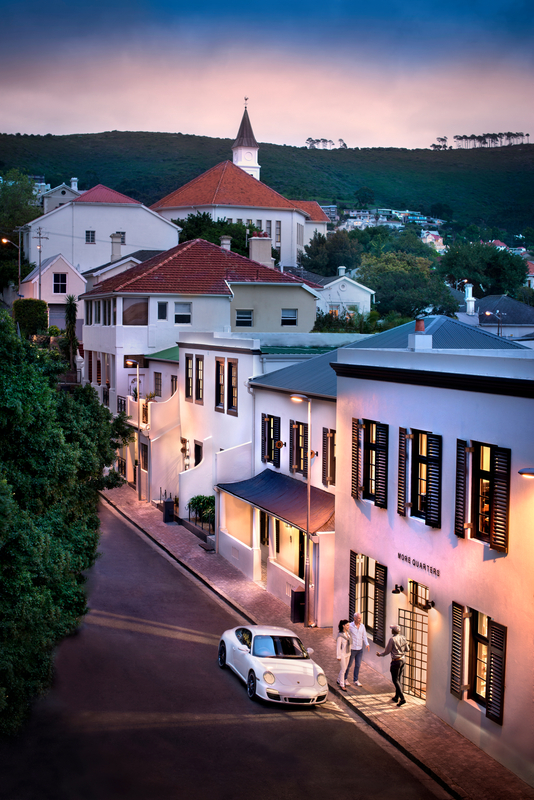 Guests feel at home too which is a testament to the tasteful and sophisticated luxury offered. 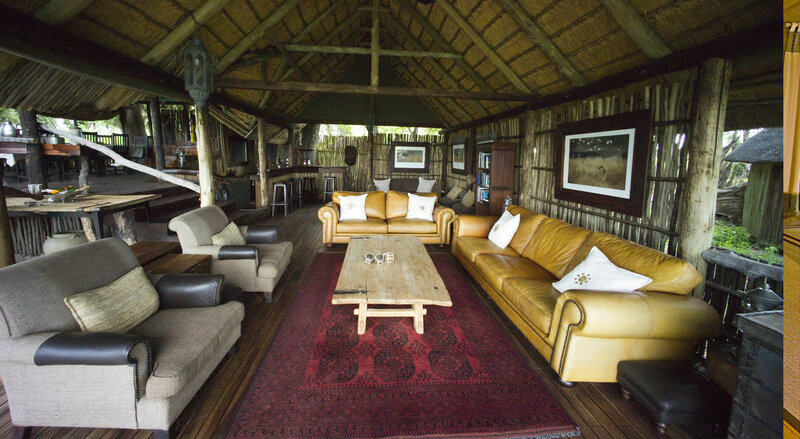 Stay in one of six gorgeously appointed Meru style tents that have been erected on a private raised deck. 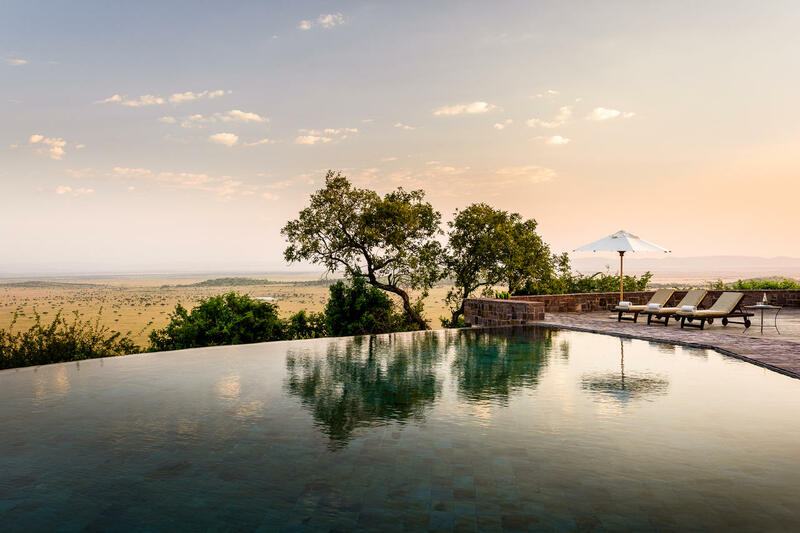 Here you are afforded breathtaking views out over the plains and shaded by an African giant that has called this magnificent wilderness home for hundreds of years. The décor is simple and sophisticated with elegant rugs and cushions of ochre and deep blue paying tribute to Arabia and the east. 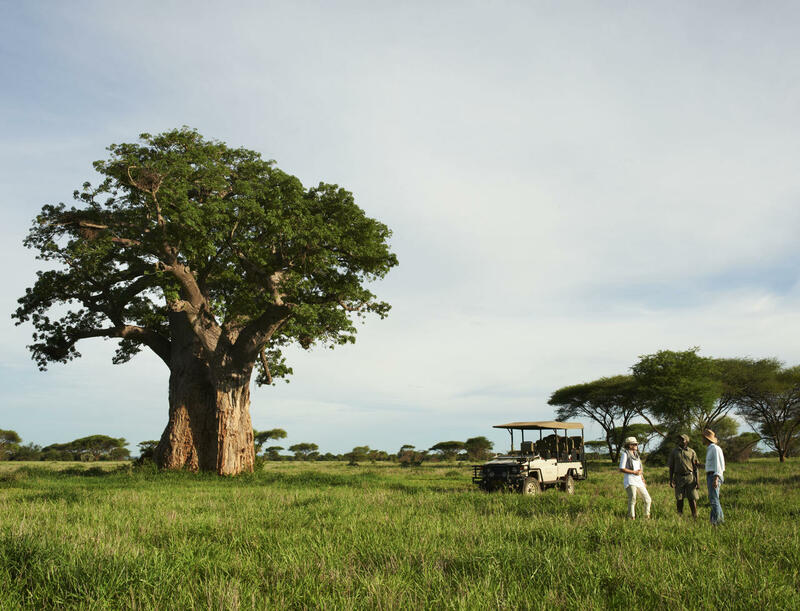 These tended suites with a romantic open-air shower give safari a new luxury definition and ensure your living experience is nothing short of comfortable, homely and extravagant. 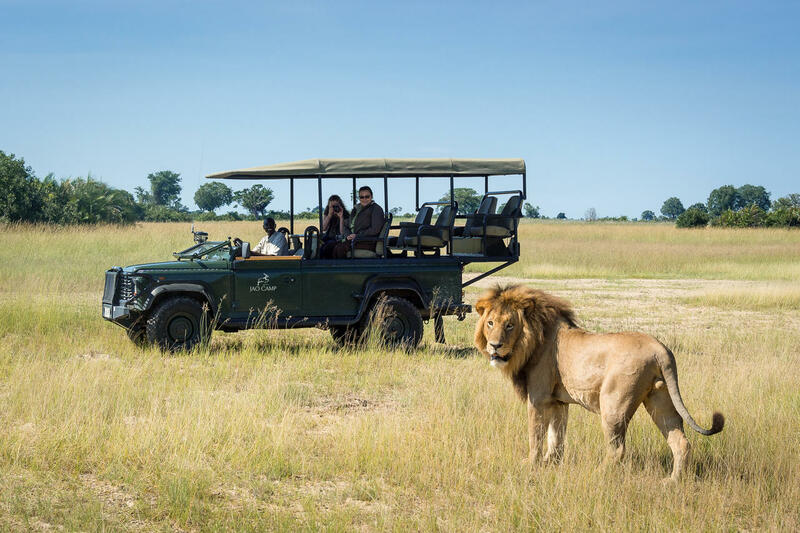 But Duba Plains has more to offer than quaint accommodations and spectacular views… This is your chance to watch the epic and ceaseless battle between the lions and buffalo of the Duba Plains that makes this an essential destination for the discerning naturalist and safari enthusiast. 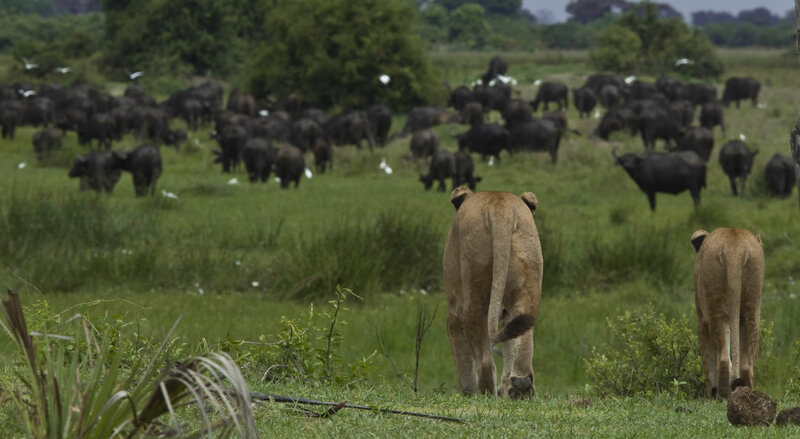 African adventure will permeate your being from time out with the lions and buffalo to reading about them in the stately leather lounge or dining on the deck suspended over the crystal channel. 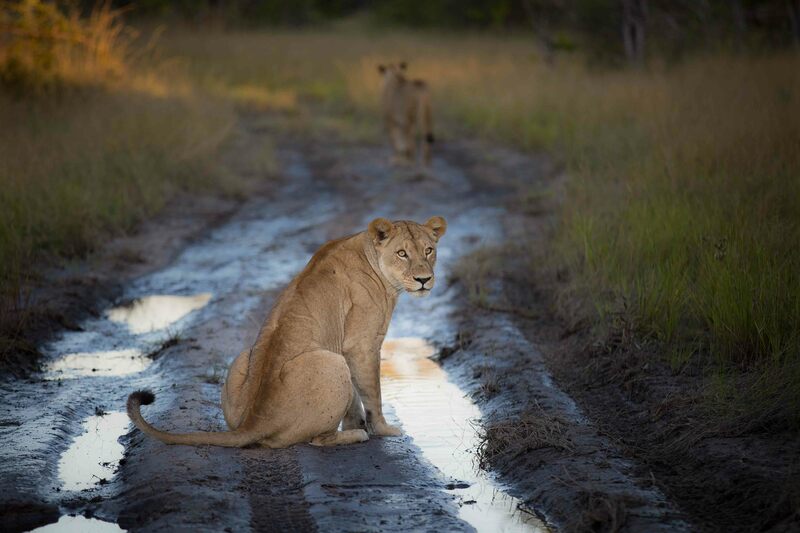 The lions of Duba Plains are some of the largest left in Africa and they owe their size to a diet largely consisting of buffalo meat. 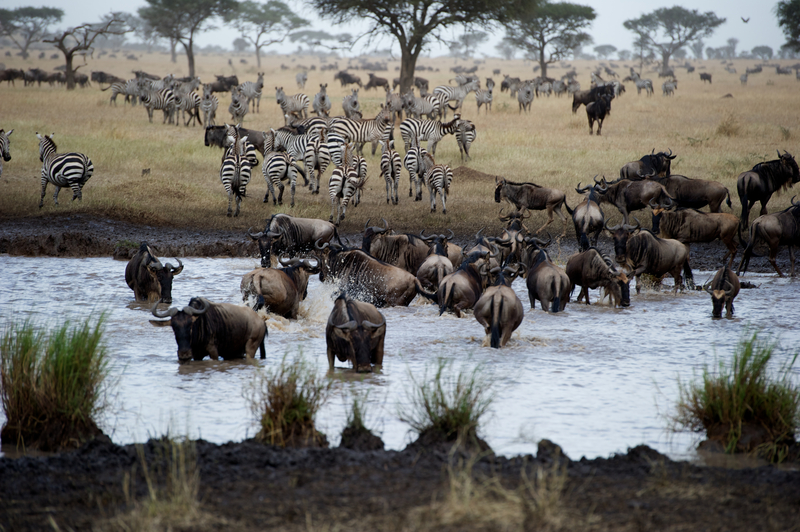 The huge herds of buffalo are hunted remorselessly by the prides – equally at home in the water or on land. 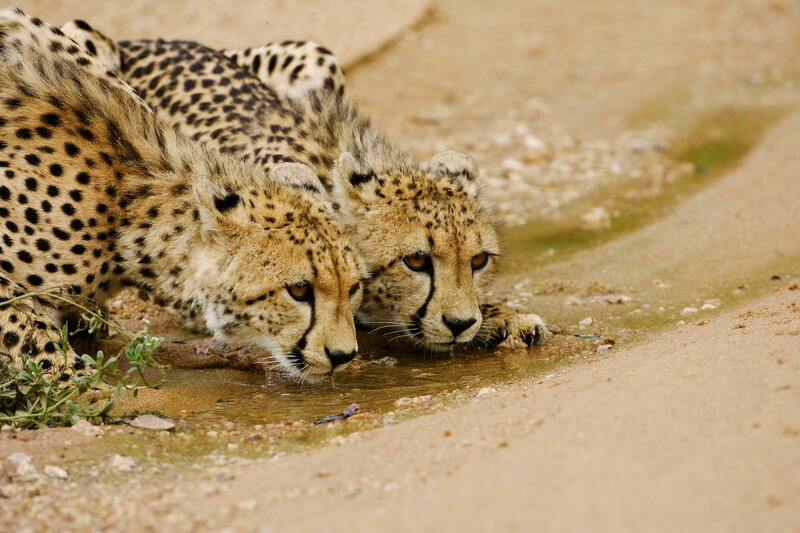 Your chances of seeing an interaction between these two African icons is excellent because the prides of Duba usually hunt in broad daylight. 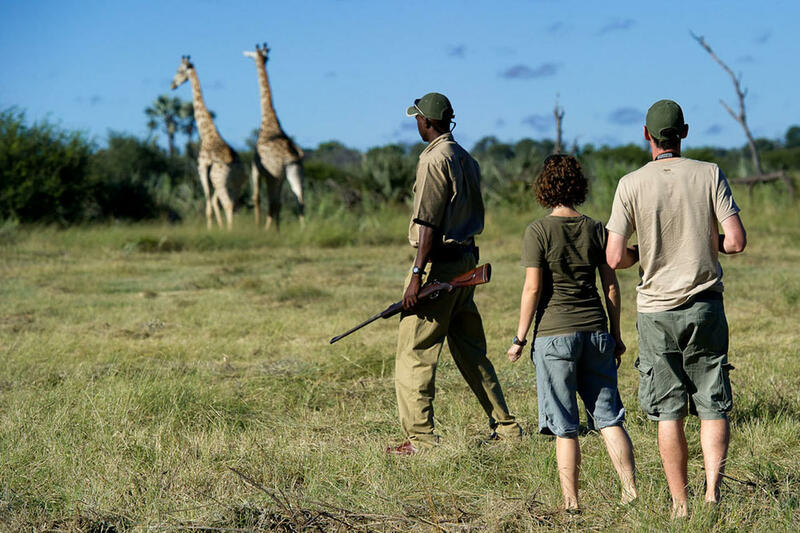 The exclusive nature of the camp means that you can tailor your activities in the wild to suit you or the movements of the animals. 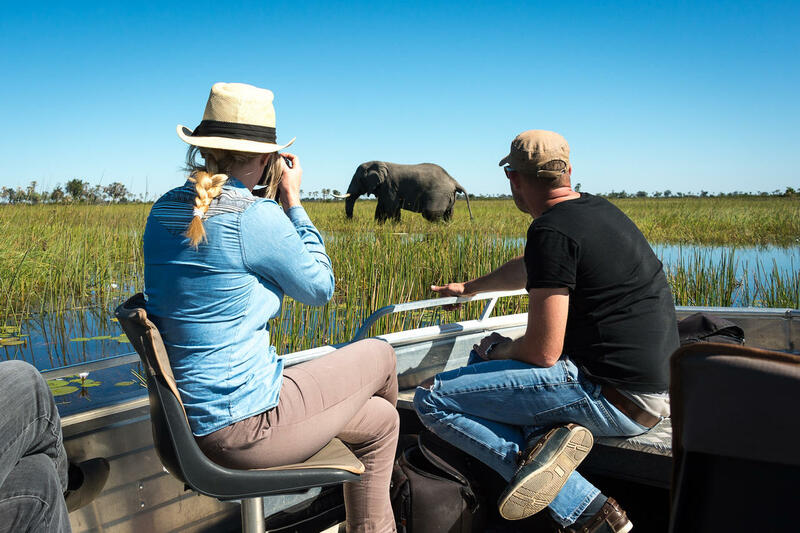 Try unwinding with a mokoro trip on the Okavango channels or explore an island on foot before picnicking in the shade of a huge fig tree. 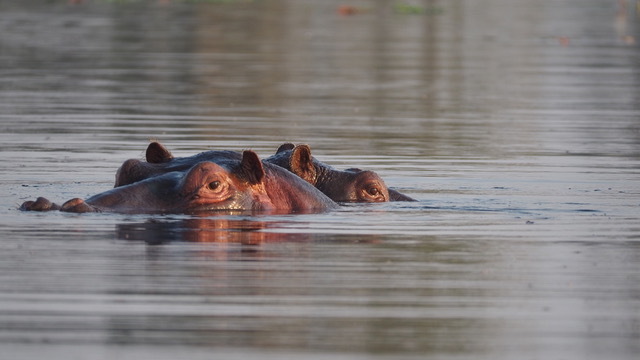 We recommend sundowner drinks on a flat-bottomed boat while the hippos emerge for the night. 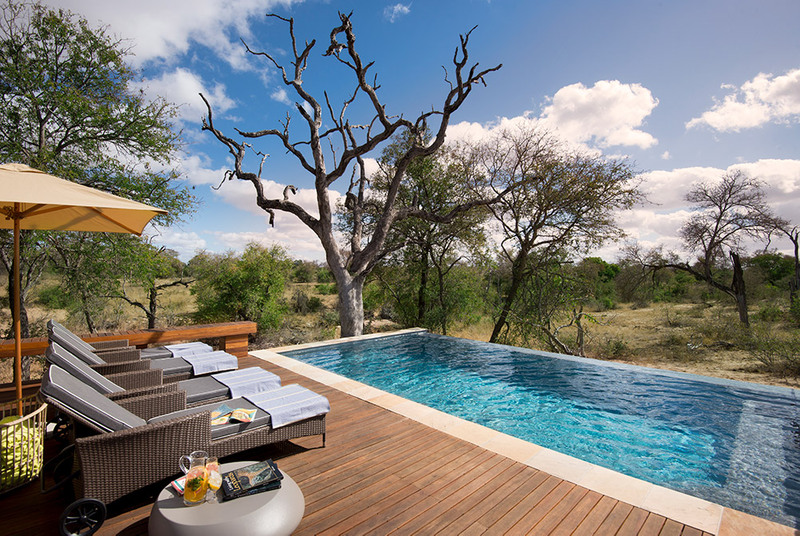 For more on this sensational property and our other favourite gems in Botswana click here. 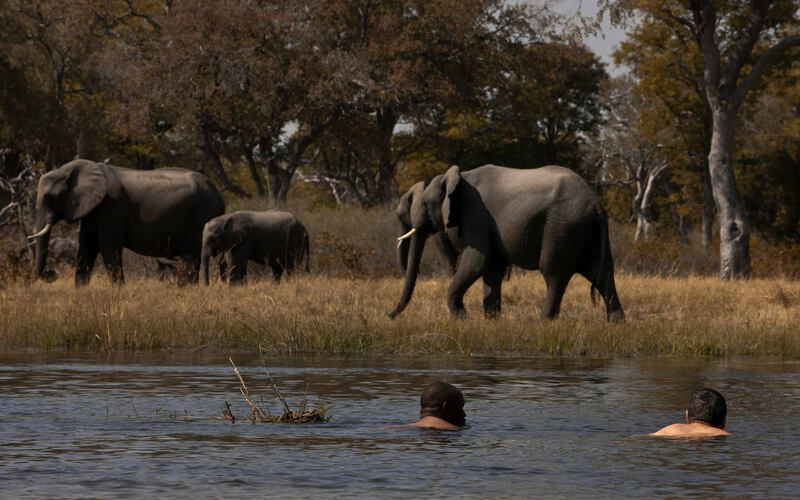 Great… You’ve finally decided to book that once-in-a-lifetime vacation to Africa. 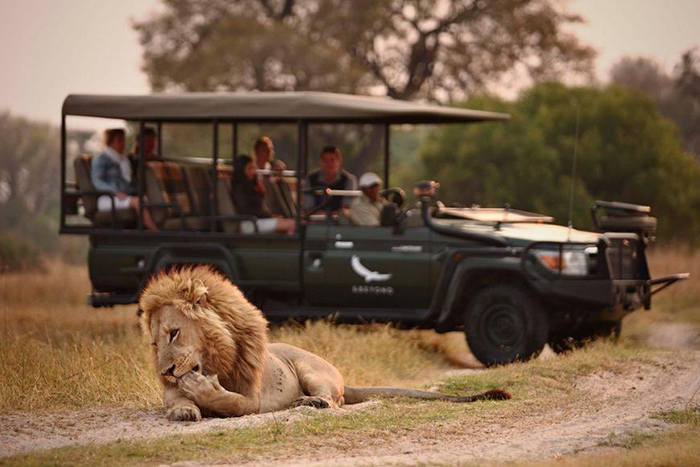 But you’re still not sure what exactly a safari is? Fear not! 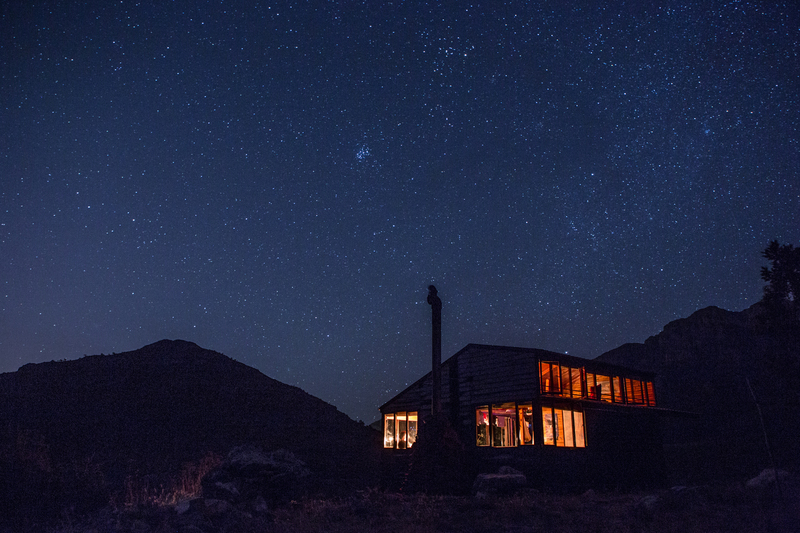 It’s as you’d expect – amazing wildlife sightings, great company and even better food. 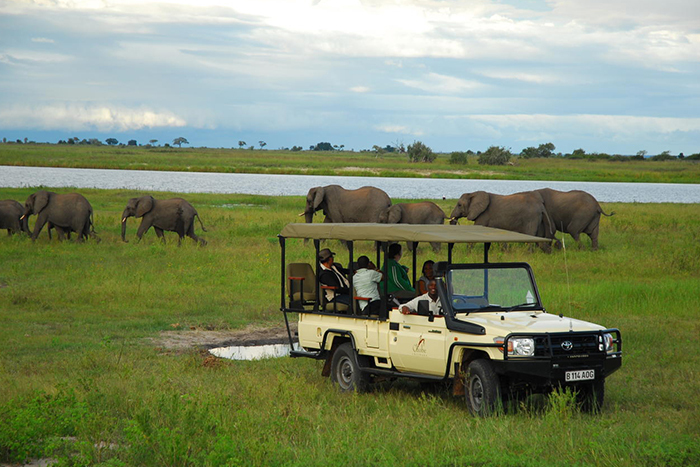 A typical African safari is a journey or an expedition to observe wild animals in their natural habitat. 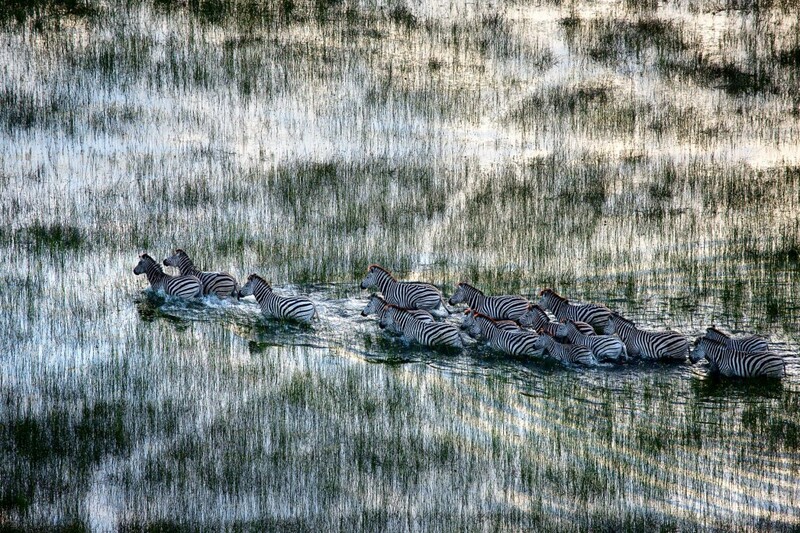 The Swahili word ‘safari’ which comes from the Arabic origin (safar) has always described an overland journey, usually taken by tourists. 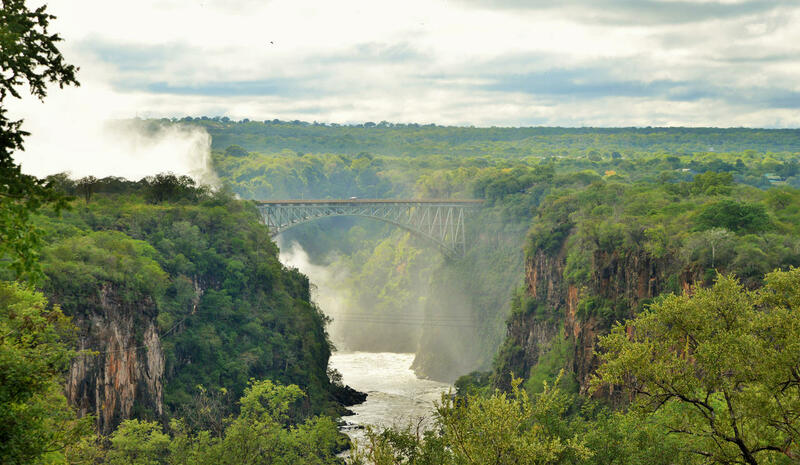 ‘To travel’ in Swahili is kusafiri which would include any type of journey, from bus to ferry. 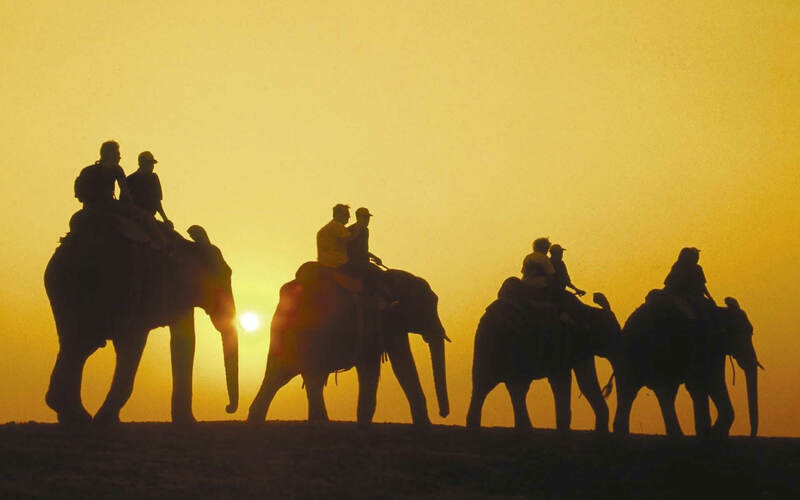 Thanks to Richard Burton, the explorer, the word safari entered the English language in the1850’s. 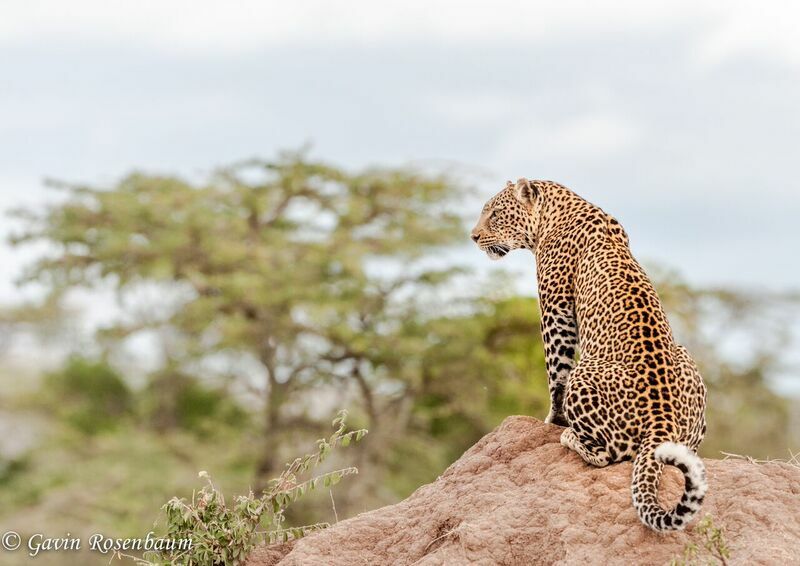 In the past, a safari was often a trip taken to hunt big game, but now it is to observe and photograph majestic animals and landscapes and even hike surrounding trails and sightsee. 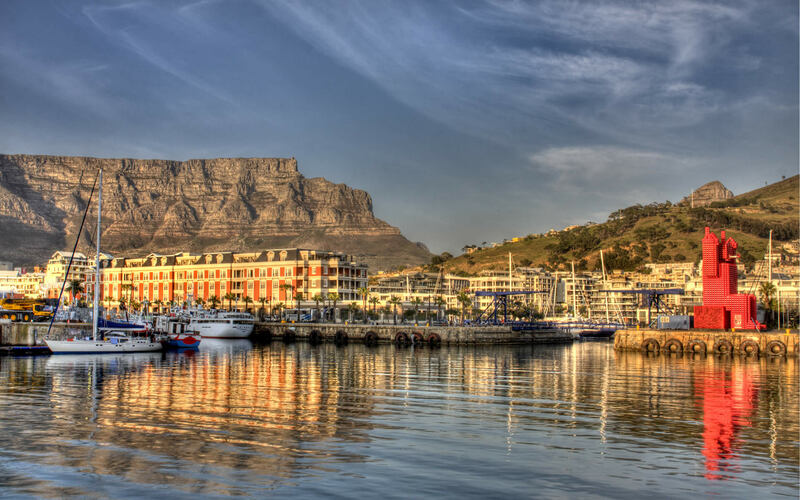 Your day-to-day itinerary will differ depending on the destination and accommodation you have chosen. 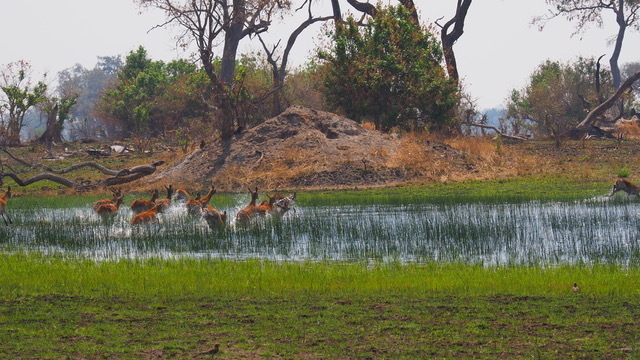 Even visiting a private reserve compared to a national park will offer a contrasting experience. 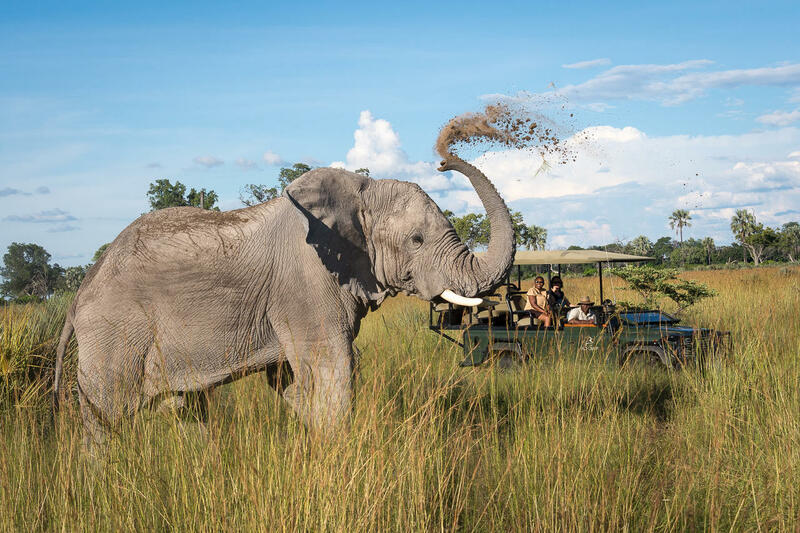 Each country, reserve and lodge has its own character and many will offer various activities and unique sightings such as the silverback gorillas in Rwanda or the white lions in the Sabi Sands. 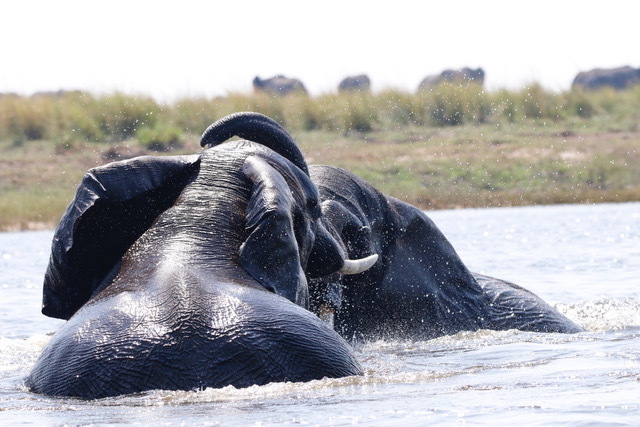 This is just one of the reasons why going on safari is so addictive! 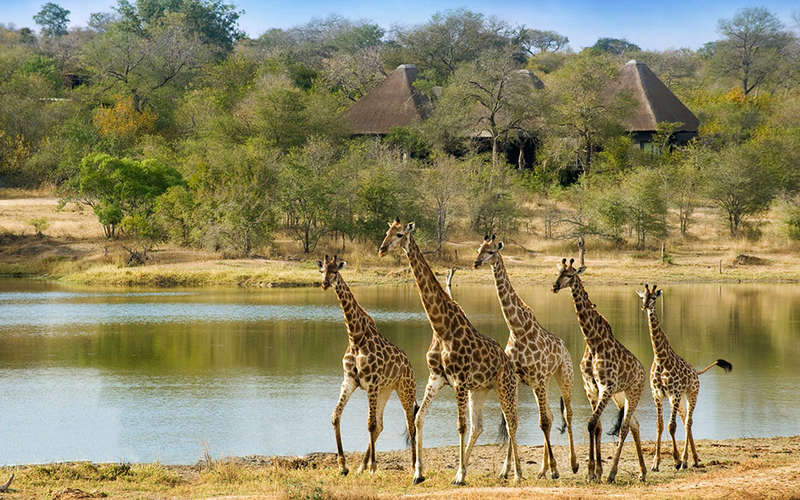 A luxury safari at one of our leading accommodations is all-inclusive covering tours, food, drinks and expeditions. 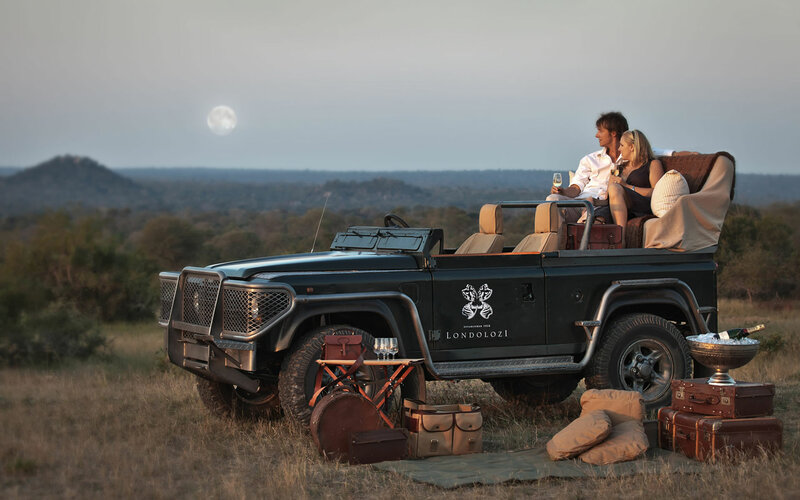 Our carefully curated luxury packages offer travellers the comforts of home whilst in Africa’s bush. 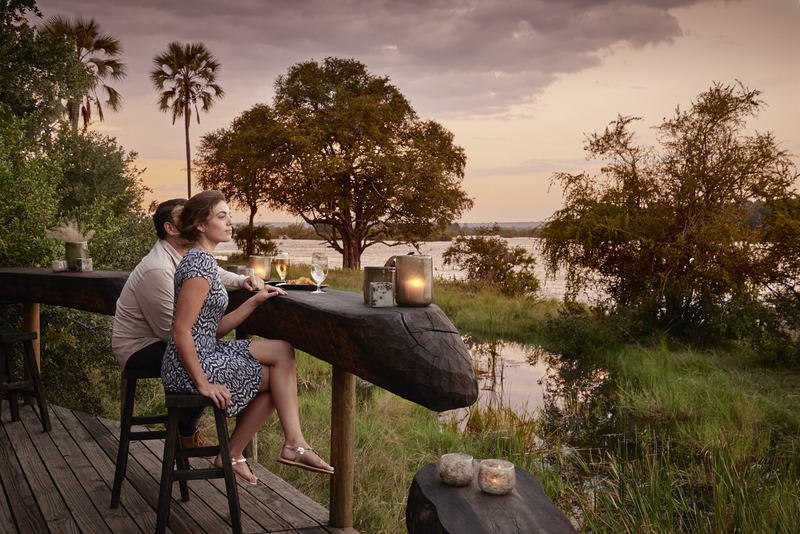 You will feel all the authenticity of a traditional safari and bush camp – the camp-style tents, evening fire pits and cultural immersion with the comforts of air-conditioned suites to rich linens, exquisite décor and world-class service. 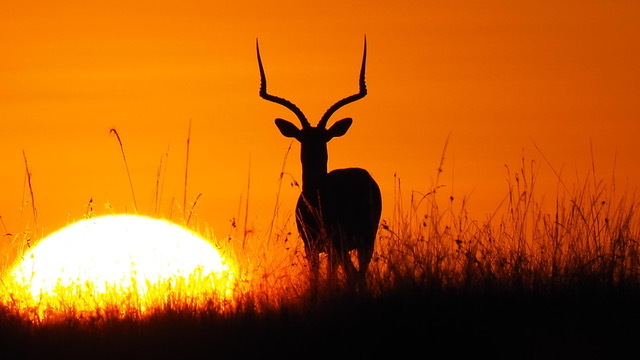 Now that you know what you can expect, be prepared to start your day early each morning to catch Africa’s breath-taking sunrises and animal sightings. 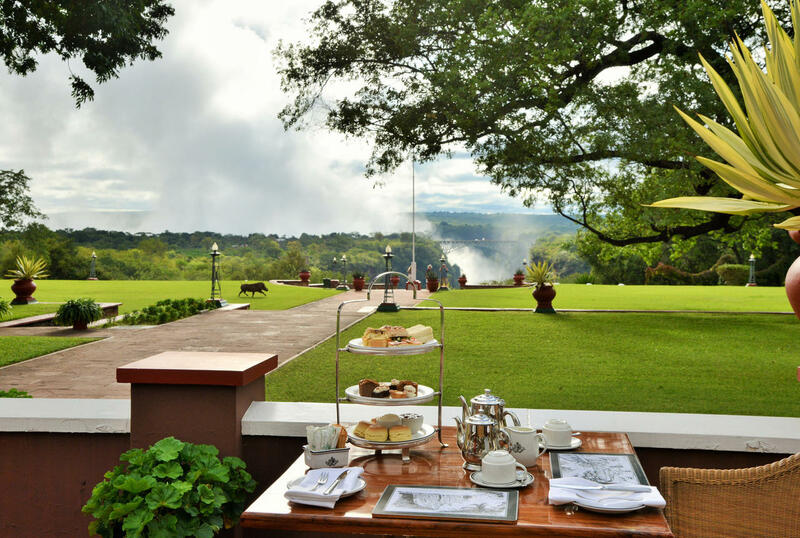 You’ll have 360 degree uninterrupted views of the beauty all around you – which makes rolling out of bed before the crack of dawn so much easier! Don’t forget your sunblock, sun hat and to have your camera charged and ready. You may be thinking that sitting in the back of a game vehicle can be boring. 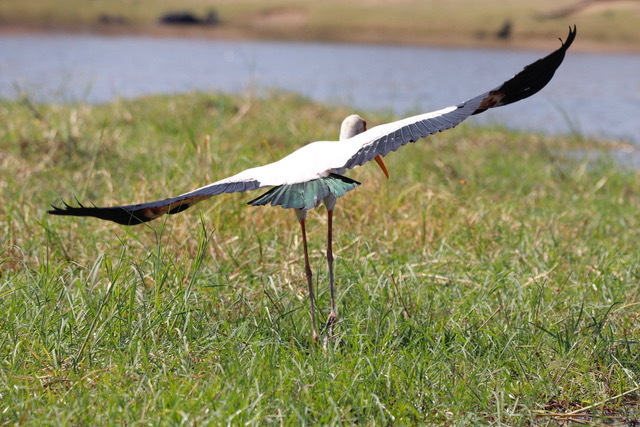 But you’re constantly on the lookout for wildlife and everything else the exquisite African bush can treat and teach you about. 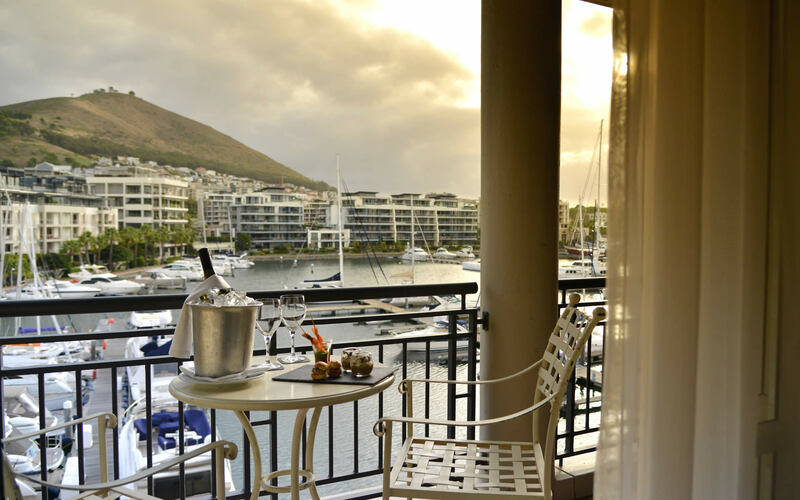 Most accommodations have spa facilities, great adventure activities, outdoor meals and private viewing decks from your suite. 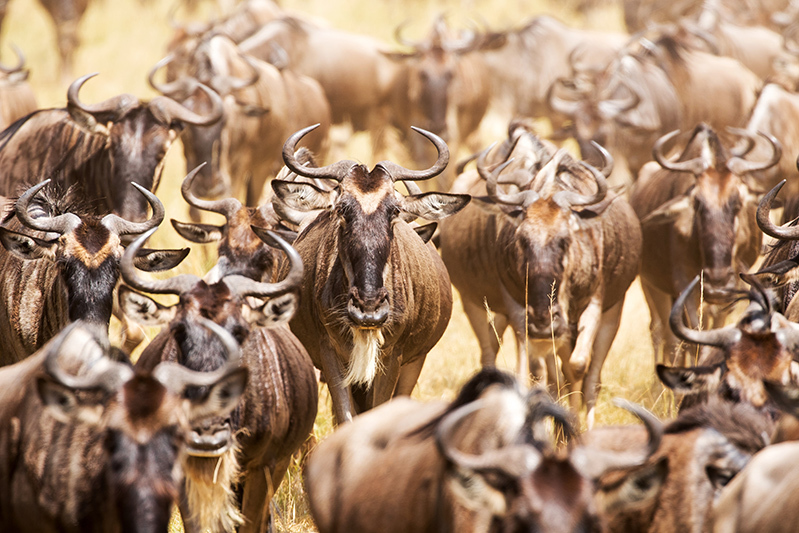 You will want to leave the sanctuary of your bed to see the active animals begin their daily routines. 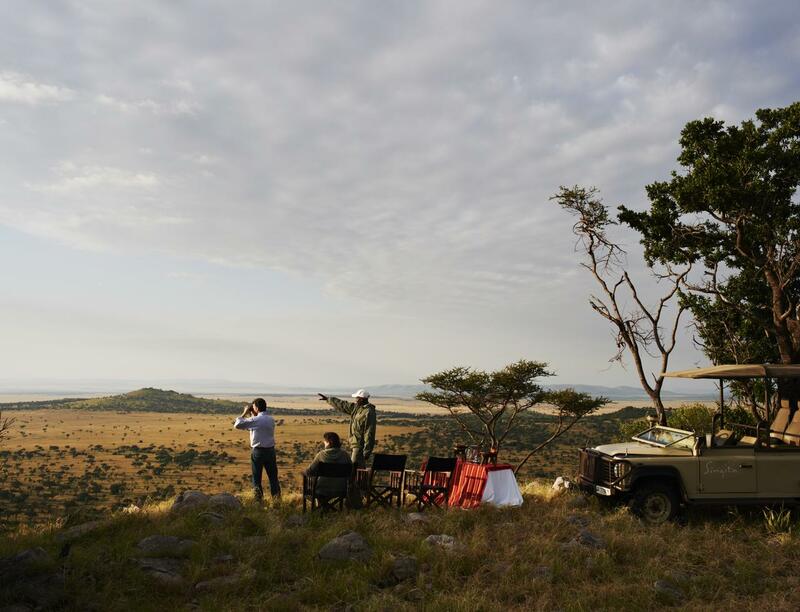 The best time for game viewing is before the sun is overhead. Don’t worry, you’ll have some scrumptious rusks and coffee before you leave and be back in time for a hearty breakfast or brunch. 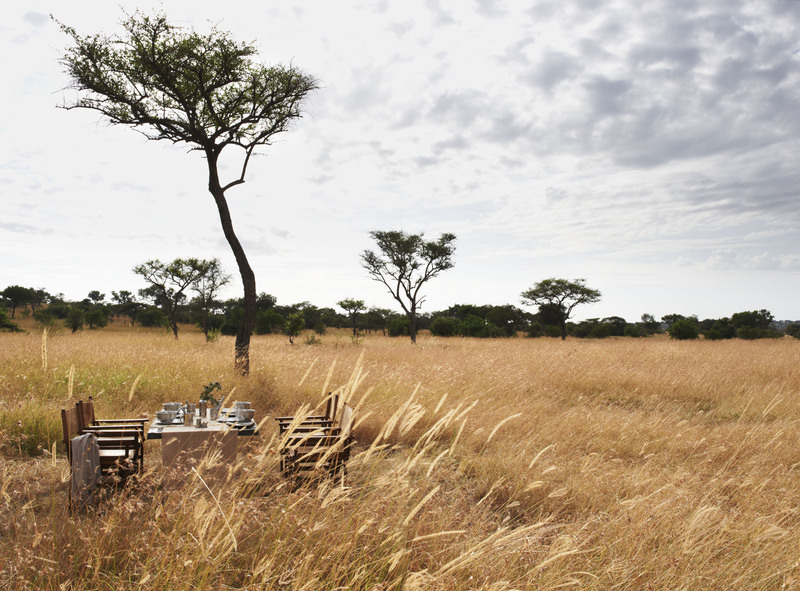 Perhaps you will stop for a morning picnic along the way if you have a full day’s game viewing planned. 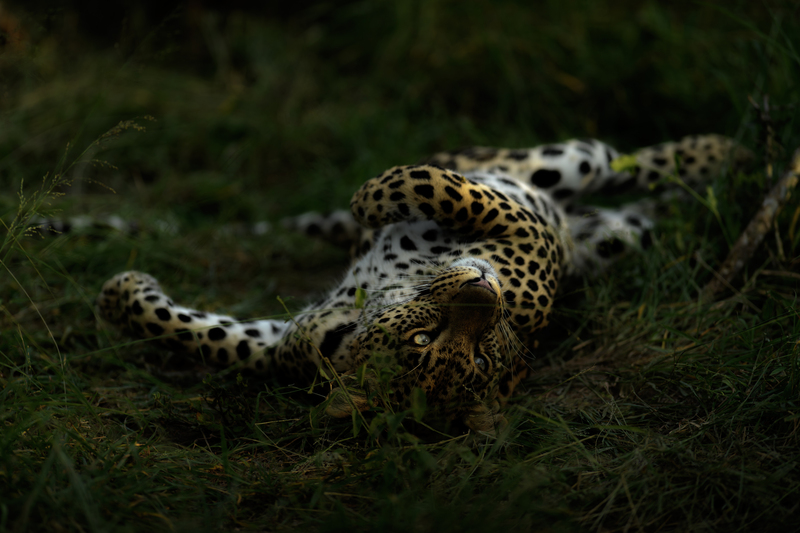 You can return for a long and relaxing lunchtime when the animals are most inactive. 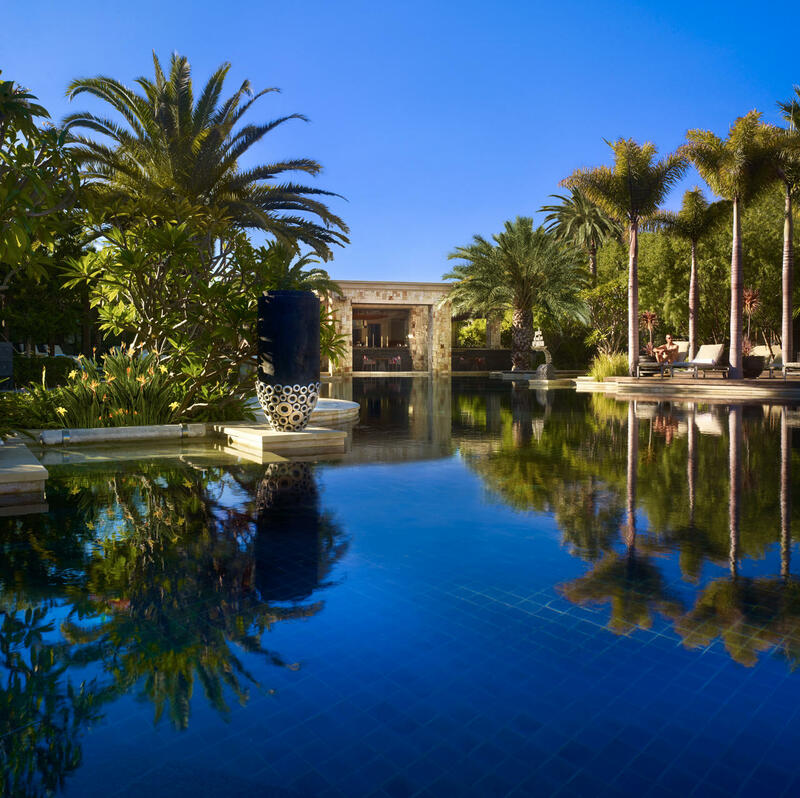 Use this time to unwind with a book and some bubbly or enjoy a refreshing swim. 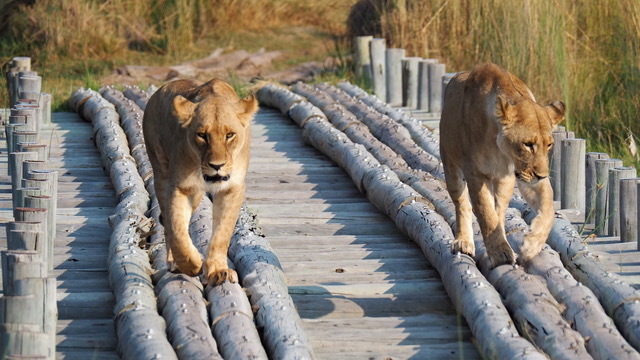 If you haven’t had enough of the wildlife, you can do some game viewing from your private deck. 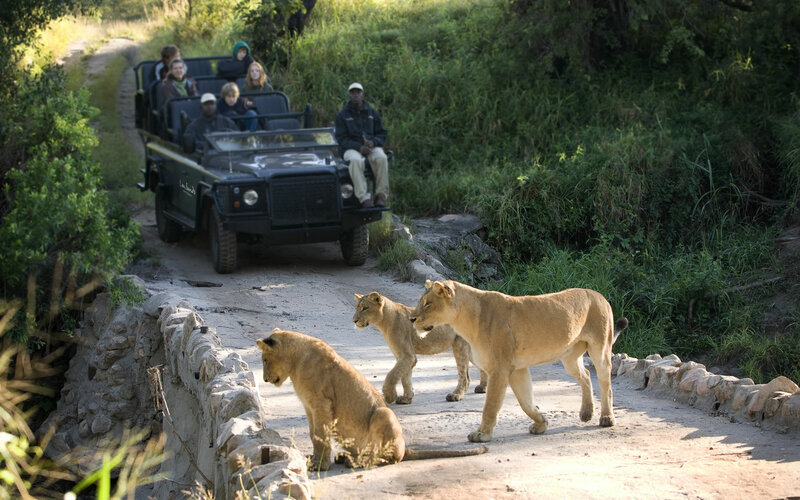 Most guests head out for another game drive late afternoon when it starts to cool off. 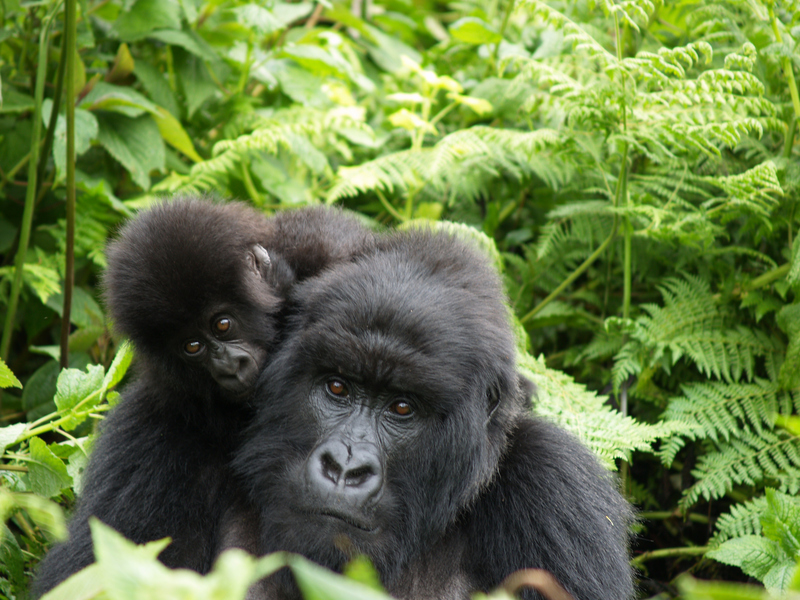 Have some snacks and tea before you start looking for animals on the move. 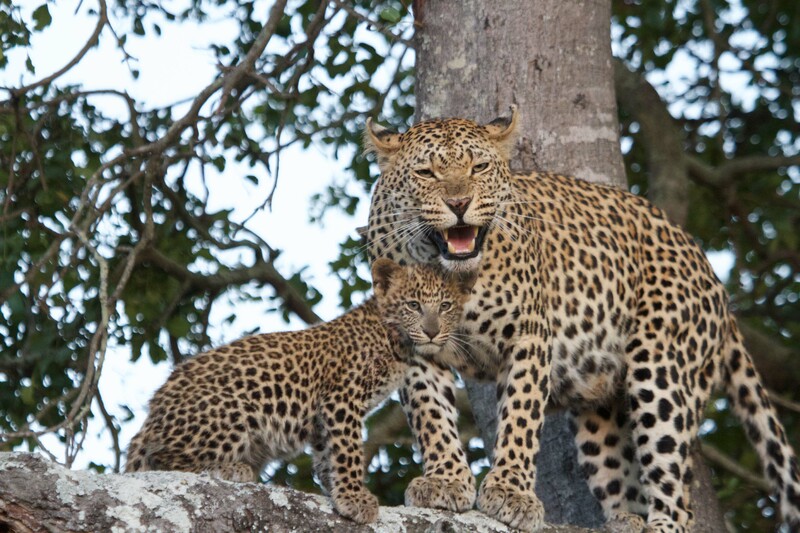 By this time, some predators will be grocery shopping for their dinner. 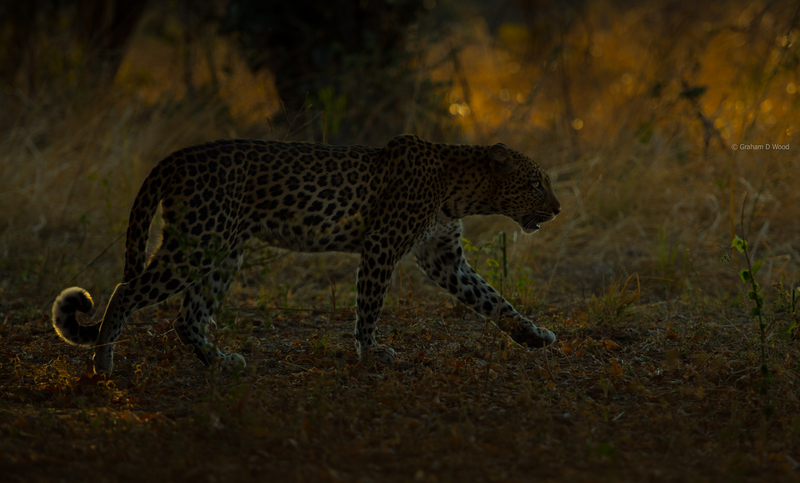 As you make your way back to the camp, the night drive will show you some of nature’s most elusive and nocturnal animals. 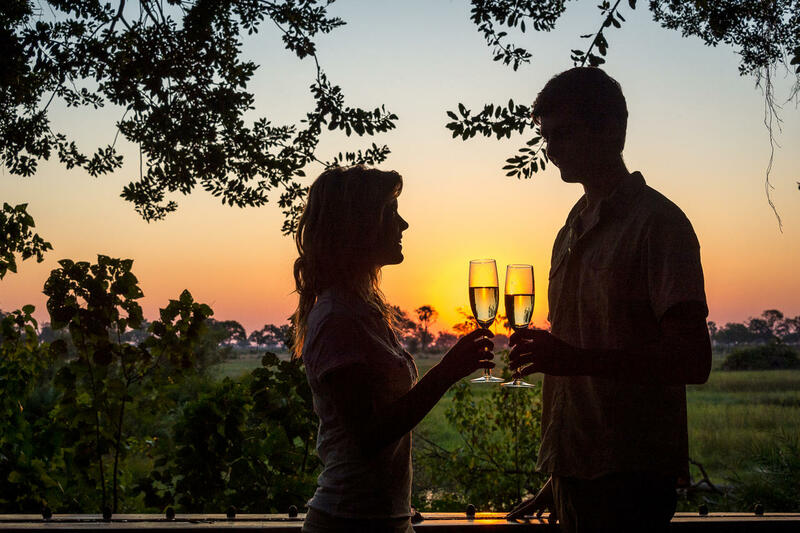 Just in time for a delectable and romantic dinner – most probably enjoyed outside under the starlit sky – reminisce the day’s spectacular sightings and end off another wonderful day in Africa around the campfire. Don’t let routine scare you! 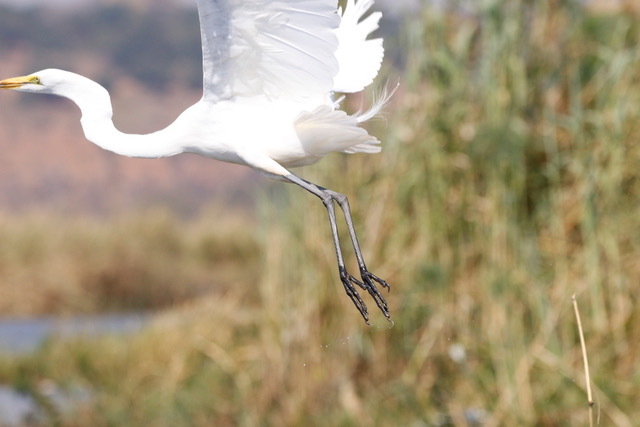 As with nature, expect the unexpected. 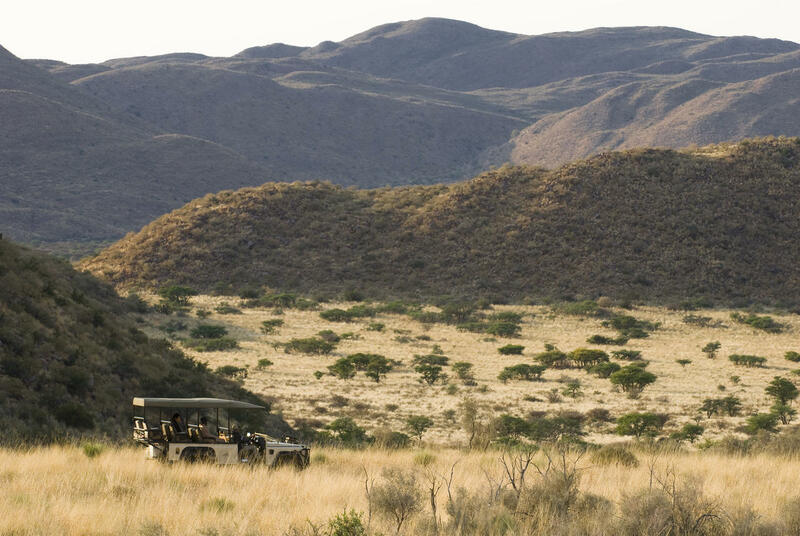 Each day will be unique and no two game drives will be the same. 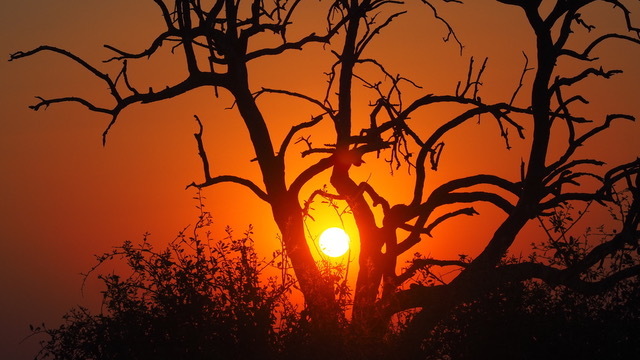 Not forgetting the amazing sunsets that are as distinctive as a fingerprint. 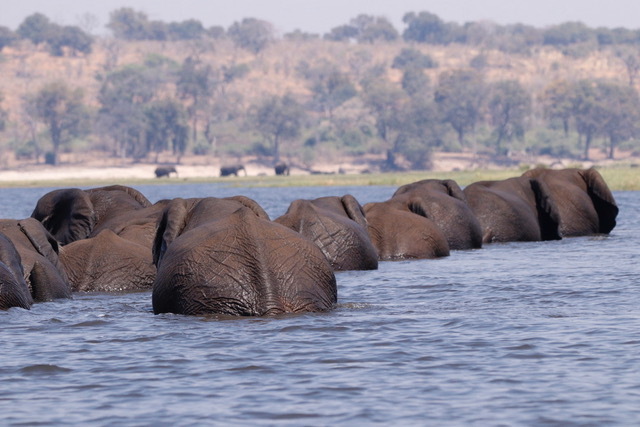 Visit our destinations page for all your safari options, including Kenya, Tanzania, Namibia, Zambia, South Africa and more.